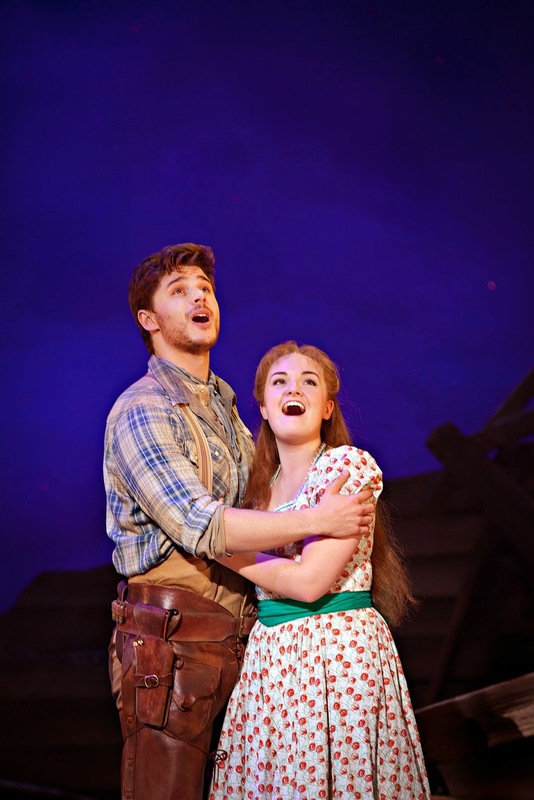 There is a traditional charm that pervades the Royal & Derngate’s Oklahoma! This show, the first collaboration of Rodgers and Hammerstein, is at once dark and glorious but above all, crammed with some of the biggest numbers from the Golden Age of Broadway. And here, on Francis O’Connor’s set that has been cleverly designed to be taken on the road, it is beautifully staged. Set around the turn of the last century, the Oklahoma!’s book glosses over much of the Indian Territory’s troubled history (the actual State of Oklahoma was not created until 1905). Whilst the legacy of the recently ended American Civil War is roundly ignored, the tale does hint at the vastness of the land that was there to be grabbed, as well as the agricultural rivalries between the cattle rancher and the farmer and all alongside the emerging technologies that were seeing automobiles appear and skyscrapers come out of the ground. Famously though, the story bravely weaves its human interest themes as light and frivolous romance seamlessly segues into the dark and damaged side of our fellow man. Charlotte Wakefield is a delight as Laurey, the orphaned niece of her aged Aunt Eller with whom she lives on the farm that they own and tend. Wakefield has previous form with Rachel Kavanaugh, having garnered an Olivier nomination in the director’s The Sound Of Music two years ago. The actress epitomises tough yet cute, with a carapace that ultimately holds a vulnerable soft-centre. Initially wary of suitor Curly’s advances, Laurey is in fact desparate for the love he offers. Throughout, Wakefield’s singing is divine, with her handling of the harmonies in People Will Say We’re in Love proving a gorgeous take on the classic tune. Alongside Wakefield, Ashley Day’s Curly is handsome and well sung , but he needs to dig deeper to earn our sympathy. All too often Day glosses over the nuance of his lyrics, losing much of the cleverly crafted Hammerstein verse. But these are early days for the production, though and there is no-one better than Kavanaugh to coax that little bit more from her leading man. Elsewhere there is doom and delight from the supporting cast. Belinda Lang is fabulous as Aunt Eller. With no apparent kin aside from Laurey, Eller is the loving matriarch not just to her niece but to her wider community too and Lang nails the fiercely protective loyalty that the old woman shows towards her ward. Nic Greenshields’ Jud Fry offers a chilling take on the tragic desparate loneliness of a man shunned by the world. As Laurey’s hired hand on the farm, he craves her beauty and there is a true terror and menace in his manner. But in Greenshields’ singing of Lonely Room there is also a profound exposition of a deeply damaged man. At the other end of the emotional spectrum, Lucy May Barker’s Ado Annie is just so incredibly believable as the girl who sings I Cain’t Say No. Barker shamelessly steals her scenes, but with a performance that deliciously good who cares? Other comic treats come from Gary Wilmot’s exquisitely timed work as peddlar Ali Hakim, whilst James O’Connell’s Will Parker truly gives his all in All Er Nothin and his Kansas City makes for good fun too. Edging south down the M1 following his recent stints at Leicester, Drew McOnie choreographs in his first ever partnership with Kavanaugh. The flamboyant hallmarks of musical theatre’s wunderkind of dance have been reined in for this is tale, but it still remains a treat to see his interpretation of some of Broadway’s biggest classic routines. McOnie’s work impresses with his movement perfectly capturing the humour of It’s a Scandal! It’s a Outrage in a whirl of chaps, petticoats and bloomers, whilst the ballet sequence that closes act one is truly a dream. Credit too to Stephen Ridley’s 10 piece band. They’ve been well drilled and as the first notes of that gorgeous Overture sound out, they set the tone for an evening of musical excellence. 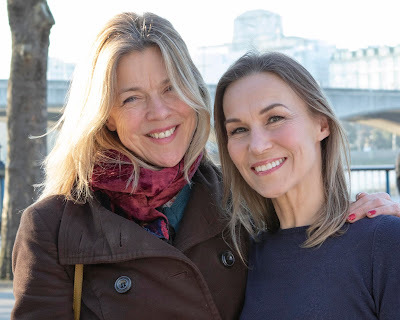 Shortly to tour the UK, Rachel Kavanaugh’s Oklahoma! is a classic musical, wonderfully performed. Go and see for yourselves, you won’t be disappointed.